It’s FREEBIE FRIDAY! Wow wasn’t it Friday just a couple of days ago? Feels that way to me. Where has the week gone? 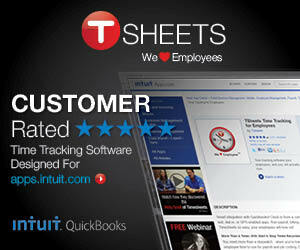 This weeks Freebie Friday giveaway here on the QuickBooks for Contractors blog is an Employee New Hire Checklist. One of the hardest things about being a bookkeeper or payroll clerk, is that we seldom receive any information about new employees – other than the information that comes from their Federal W-4, State W-4, and their I-9 form. As a bookkeeper in the construction industry, a lot of times the ONLY information that I ever received was a scrawled note with the employees name on it – and I’d spend the rest of my week trying to chase down the rest of the information that I needed, because of course that employee needed a paycheck come Friday! Does that sound familiar? I bet it does! Do yourself a favor and put together New Hire Packets so that you can get the information you need! What should a “New Hire Packet” contain? Federal W-4, State W-4, and Form I-9 at a minimum. Additionally, you may want to utilize our free “New Hire Checklist” to provide your bookkeeper with additional information about the employee. Our New Hire Checklist is a 5-page Word document, which you can further customize to meet your needs. Click here, for instant access. I think I saw that you found this and downloaded it from our “Learn to use QuickBooks in your Construction business” website – but for anyone else, here is the direct link for the Employee New Hire Checklist. When I created that new site to hold a lot of the QuickBooks training resources that were originally on our main website – it was hard to track down all the links from various places – I’m still finding some here and there. Would you email me the link to download this New Hire Checklist (5-page Word document), please? I don’t see any hyperlink under your “Click Here, for instant access”. Thanks. I would also include a checklist to determine if a potential or new hire is eligible for the Work Opportunity Tax Credit. There is no reason to leave these payroll tax credits on the table. I had three clients who were eligible to claim up to $9,000 per employee over a period of two years. One company that provides those services to employers is . They say that one in five employees is eligible.